It’s no secret that I’m a big fan of ‪‎Periscope‬. If you’re not familiar with Periscope, it’s a live-streaming platform that basically allows you to reach the masses and engage in real-time just by hitting the “Start Broadcast” button. The number one question that I get from people is: What should I scope about? I don’t like when people do this, but I’m gonna answer that question with a question…What are you good at? 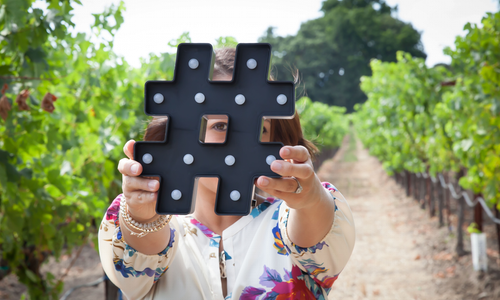 Before using any social media platform, you need to be clear on what your objective is. Are you positioning yourself in the marketplace as an expert? Are you focused on selling a product or service? Is your primary goal to grow your e-mail list? Maybe you just want attention — No judgement here, but you might not find my tips helpful if that’s your main goal. If you own a restaurant, showing your audience what happens before the restaurant opens at night, after the doors close or even how you prep for a special event would be fascinating to watch. People love getting an insider view. This type of content works well for a range of industries. A lot of experts in their field will do an AMA scope to field questions from their audience. Once you have a couple of followers, this is a great way to gain their trust and earn yourself some additional credibility. There’s a neuroscientist who answers questions about the brain on his scopes and there are always hundreds of people in his room. Take your audience to the beach, on a hike, wine tasting or to an art festival. 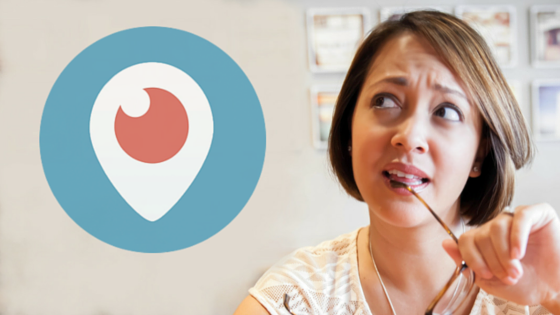 Periscope has a global audience and people want to see other locations. Show your followers what’s unique about where you live and give them a glimpse into your daily life. When you’re just starting out, a good way to grow your following and build your credibility is by interviewing an expert or influencer related to your content. It’s important that this person has an audience aligned with yours and can help bring value to your channel. It helps if they use Periscope as well, but they don’t have to. If your friend is a published author and your audience is filled with writers, then you definitely have a match. If you sell your own products, then this is a no-brainer. If you don’t sell your own products, this is a great opportunity to share your favorite items with your audience. What are some tools that you use to grow your business or stay organized? Think “Oprah’s Favorite Things”, but without giving a bunch of free stuff away. In my course, I also talk about how to monetize this option. With an advertising background, it’s no surprise that I see Periscope as the best free focus group ever. Whenever I have an idea or if my creativity is low, I turn to my audience to find out what they want to learn about. If you’ve done a good job getting targeted followers, the feedback you’ll receive from your audience will be so powerful. People love winning stuff and Periscope is no different. The key here is to make sure that you’re growing your business in the process. You could give away your product or services and then interview the winner on a broadcast later. BOOM! Honestly, the possibilities are endless. Right now, live-streaming is the Wild West and we are the pioneers. If you’re live-streaming at all, you’re ahead of the game. I’m confident that the world needs to hear your message, so use these ideas to get started today. Also, don’t forget to connect with me on Periscope @BrandyMarieJ.